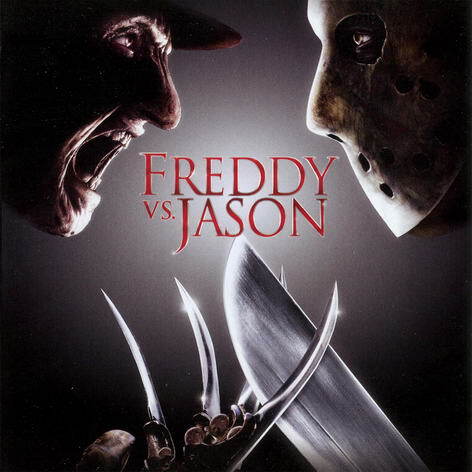 Following the events of Freddy’s Dead: The Final Nightmare and Jason Goes to Hell: The Final Friday, America’s most infamous slashers, Freddy Krueger and Jason Voorhees, are both stuck in hell. Since his disappearance, the town of Springwood has done everything possible to erase the memory of Krueger from its children, thus leaving him powerless to return. 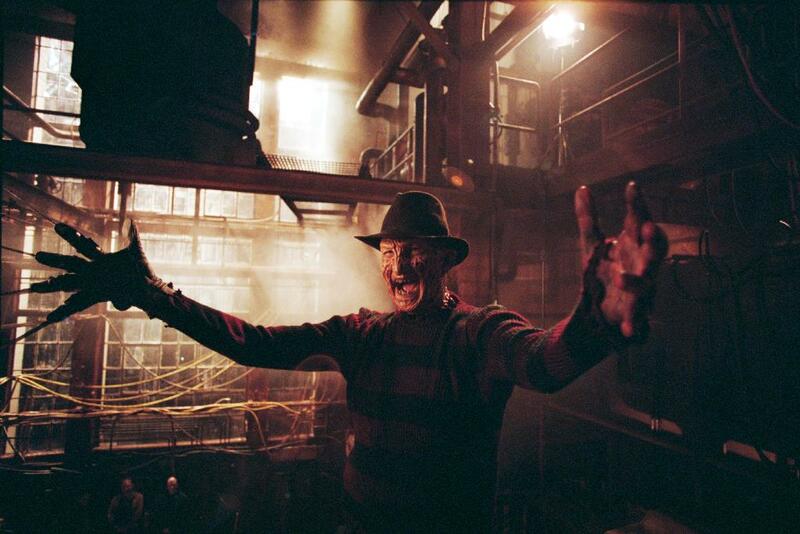 The wacky, near parody hijinks of Freddy’s Dead and the meta-narrative experimentation of New Nightmare both seemed to hint the Nightmare on Elm Street series had run its course. Despite the crazy heights of popularity the series had once reached, this was really not surprising – Freddy had simply become overexposed as a character, and lame offerings like The Dream Master and The Dream Child, not to mention a lackluster television series, weren’t really doing the franchise any favors, either. Still, there was at least one thing many fans wanted to see from Freddy – a confrontation with his chief box-office rival, Friday the 13th‘s Jason Voorhees. This is classic playground talk. “What would happen if Superman fought The Hulk? What about Snake Plissken vs John McClane?” Fans love to pitch fictional characters against each other, and part of the joy is that – because these match-ups usually can’t really happen, due to characters being owned by various companies – we never have to worry about having an actual winner. Each fan gets to make up his own mind about who wins, and the debate can go on forever. 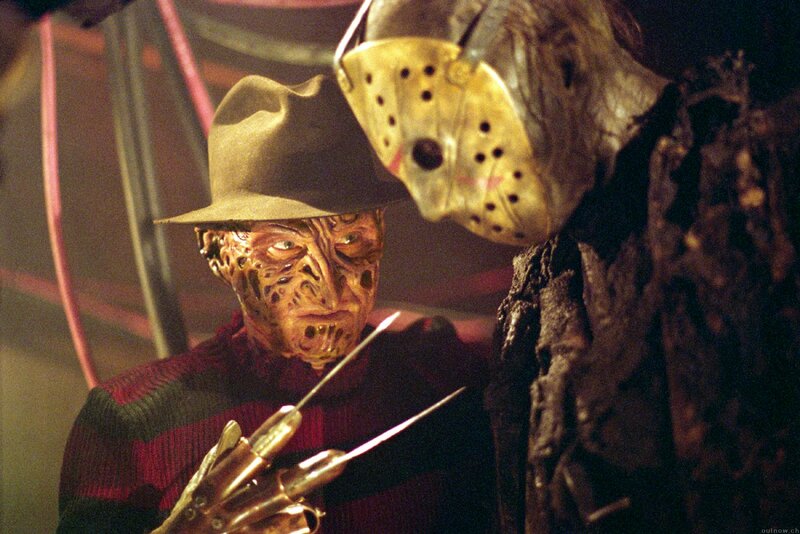 And yet, when New Line Cinema, “the house that Freddy built,” bought the rights to the struggling Friday the 13th franchise in the early nineties, it appeared at least this dream match-up would actually happen. 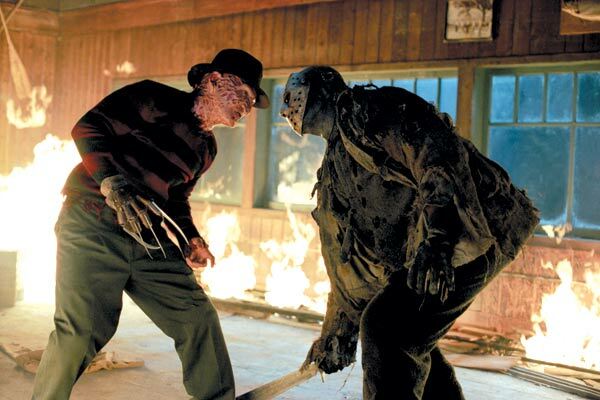 That was certainly what Friday creator Sean Cunningham was thinking when he brought the rights to New Line in the first place – he knew what a huge hit a Freddy/Jason match-up might be, and it was really the only avenue he was still interested in pursuing with the hockey masked killer. I’m sure New Line agreed, but when Wes Craven chose that moment to do New Nightmare, they found it hard to turn him down. 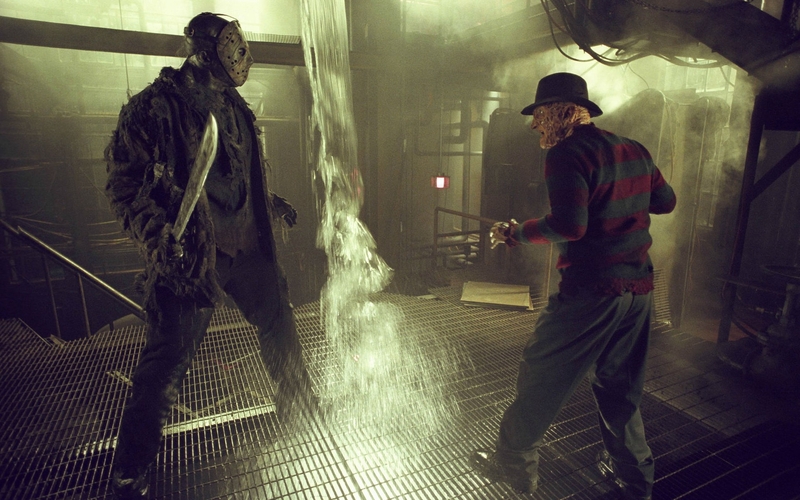 This left Cunningham with time to kill…time he and New Line spent developing Jason Goes to Hell and Jason X – both very odd entries in the Friday series, and both essentially placeholders, meant to keep Jason in the public eye while they simply waited for the right Freddy vs Jason script to be developed. This would take a long time. The developmental period of the project stretched on for nearly a decade, with numerous writers struggling to find a way to bring the two characters together. Most of the proposed ideas were horrible – like one which would saw Jason captured and put on trial for his crimes. Huh? 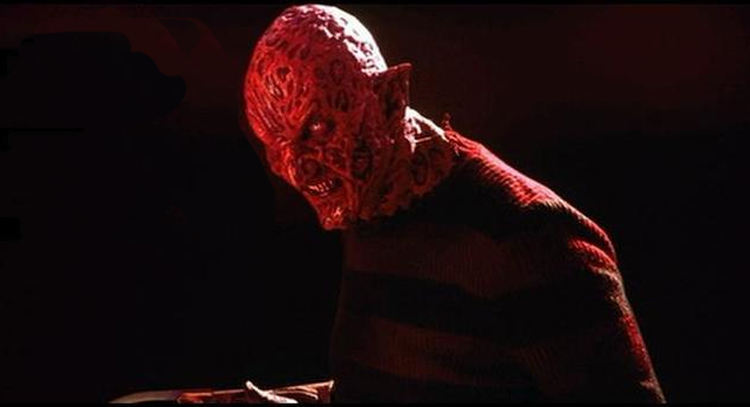 Another popular idea that survived several re-writes was to focus on a cult – known as “Fred-Heads” – trying to revive Freddy by throwing his heart into Crystal Lake. But no doubt the worst idea involved a ret-con of Jason’s origin, which would reveal that Freddy had in fact been a counselor at Crystal Lake, had molested young Jason, and had then thrown him in the water and left him to drown. Ugh. Thankfully, writers Shannon and Swift eventually stepped in and convinced New Line the best way to go would be to stay true to the already established mythologies of both characters, and to think of a logical reason for why the two would come together. Not exactly an easy job, but eventually they had came up with a story that pleased all involved, and the film was finally off to the races…arguably long after both series had slipped into irrelevance in the eyes of many horror fans. This meant the film was now not only facing the obstacle of living up to two historic franchises, but it was also simply trying to restore both of those series to a level of respect and box-office neither had enjoyed in quite a long time. Now, I’ve already talked about this film at length in my series of Friday of 13th reviews, and since I don’t want to just keep repeating myself, I urge you to go check out that review here. No, really, I’ll wait. I definitely stand by everything I said I said in that review. Still, I’d like to take this opportunity to make a couple additional comments here, especially since that initial review was a little more Friday-focused. For one thing, although I first reviewed it as part of a Friday the 13th retrospective, and although it does manage to honor both series’ (in my opinion, at least), it should be said that FvJ does feel more like a Nightmare film than a Friday one. There are certainly moments that feel like a Friday movie, as well, and the movie wisely never seems to be playing favorites. But, overall, the story just seems to follow the Nightmare structure a bit more. That’s only natural, I suppose – since Freddy is the far more fantastic of the two characters, it makes sense to have Jason conform to his style of movie more than it would trying to fit Freddy into the typical Friday formula. The nice thing is, FvJ is pretty much the first Nightmare to be given the sort of budget the franchise demands. Sure, the earlier movies did fine with what they had, and there’s a certain charm to their old-school FX. But FvJ was able to really push the boundaries of Freddy’s dream-powers. Credit goes to director Ronny Yu, as well, who maybe had an unfair advantage, given that he was working with a bigger budget than directors like Stephen Hopkins or Rachel Talalay had. But even beyond the financial freedom he had, Yu’s eye for exciting shot composition and fast-paced, frenetic action gives the movie a kind of epic feel that the Nightmare series hadn’t even really attempted since The Dream Warriors. Of course, one of the most significant things about this movie now is that it stands as Robert Englund’s swan-song as Freddy Krueger. He’s great in the film…he championed the idea for a long time, and you can tell he’s having a blast in it. And while the movie itself might be a total cheese-fest, it’s nice to see that Englund’s last turn as the character at least incorporated some of its more terrifying aspects. He’s still goofy, but nowhere near as much as in films like The Dream Child or Freddy’s Dead. 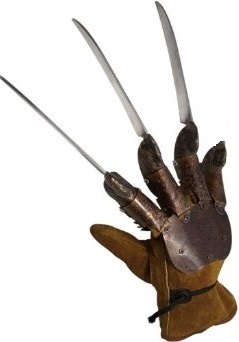 In fact, the late moment where he runs his finger claw up underneath Lori’s nightie while warning her that “the first time tends to get a little messy” is actually as intense as anything we’ve seen Freddy do in a long time. Plus, I love the more demonic make-up design the film incorporates into a few scenes, making Freddy even more intimidating. The film was a great showcase for Englund, and I’m happy for him that his last time underneath the make-up was such a huge box-office hit. I guess you could grumble that his last showcase as the character was shared with another legendary character, instead of Englund having the spotlight all to himself. But whatever – he is so much fun in this movie – and the movie is so much fun in general – that it really seems silly to complain. Quite frankly, I am perfectly fine with this movie being the finale to both the original Friday the 13th and Nightmare series. It does both characters justice, and sends out both series on a pretty high creative note. That being said, you might wonder why I gave this film a perfect score in the TGIF13 review, but am only awarding it 3 out 4 Razor Fingers here. Simple – although it’s one of the best Friday the 13th films (in regards to pure creativity and fun), it still doesn’t really hold a candle to the original Nightmare on Elm Street or The Dream Warriors. I’ll always be more of a Friday the 13th guy, to be honest, but even I can’t deny that A Nightmare on Elm Street was always the more imaginatively ambitious of the two series, and therefore should be judged a little more harshly. You might think that’s unfair, but I’d say it’s a compliment! Holy hell. Well, you can certainly see the influence of the Friday the 13th series here, as suddenly we’re dealing with the kind of body count the Nightmare series never even, ahem, dreamed of. Of course, it should be noted that Freddy only kills one victim, leaving the other nineteen to Jason. I originally thought that was sort of weird, but having gone through these Nightmare movies again, I suppose it actually makes sense, and is line with the later Nightmare films, which tended to have small body-counts and instead just focused on Krueger’s dream shenanigans. Look, Freddy just isn’t a show-off in the kill count department the same way Jason is, okay? And what he lacks in kills, he makes up in being the driving force behind the whole story. Seems like an even trade. I guess this one is kind of a default, huh? 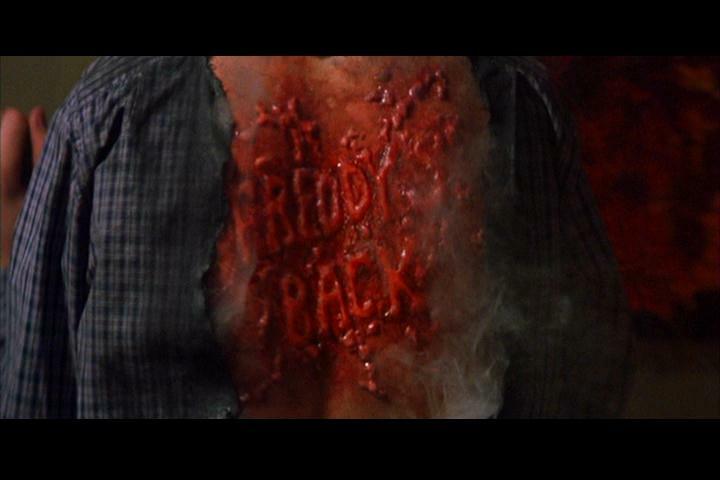 The good news is, his one kill is pretty cool – I’ve always enjoyed the pun of burning “Freddy’s Back” onto a victim’s, well, back. Cheesy? Sure. 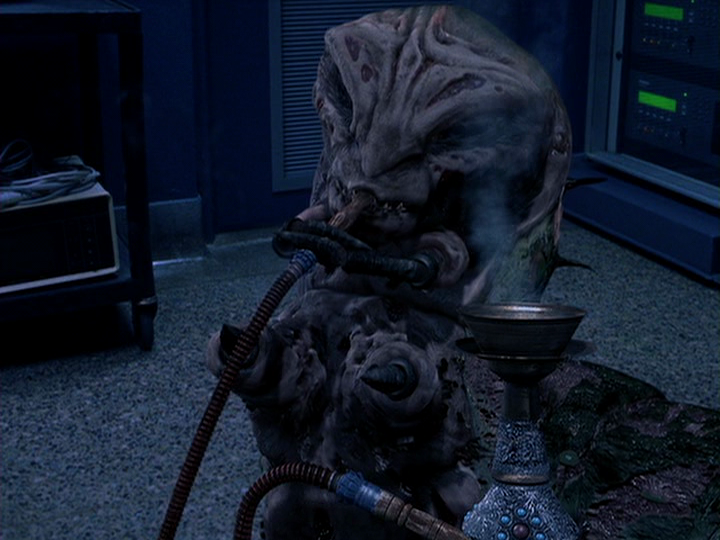 But, geez, it’s definitely not as dumb as some of the stuff we saw in the later Nightmare entries. Posted on December 9, 2014, in A Nightmare on Elm Street, Franchise Post-Mortems, Reviews and tagged A Nightmare on Elm Street, Freddy Krueger, Friday the 13th, Horror Movies, Jason Voorhees, Robert Englund, Slashers. Bookmark the permalink. Leave a comment.